When you’re getting ready to apply for a new healthcare job, updating your resume is probably the first step. For many people, the next step is writing and refining the perfect cover letter. However, according to a recent study from Jobvite, only about 26% of recruiters actually look at a cover letter. With new developments like the use of AI for job searching and with online application processes, the necessity of a cover letter is murky at best. So what’s the truth? Are cover letters unnecessary relics of the past, destined to go the way of paper applications? Or is there still some value in presenting a well-crafted cover letter to potential employers? Today, there are still quite a few reasons to consider including a cover letter with your application, even when appying online. Here are the top reasons to include a cover letter. Customized cover letters are a way not just to show that you’re interested in a job, but also that you’re interested in this specific job. Cover letters are also a way to expand on the points made in your resume. If you possess a particular skill or hold a license that’s relevant to the job you’re applying for, a cover letter is the perfect place to explain how you’ve used a skill in the past, and how it will apply to a new position. Additionally, your cover letter provides the opportunity to provide clarity on any unusual aspects of your resume. For example, if you’ve worked at the same hospital for several years and are looking to transition to another field or facility, a cover letter is the place to explain that. Another example might be if you have gaps or a lot of short-term positions on your resume. You can use a cover letter to explain those gaps and set the employer’s mind at rest. In a lot of fields, especially those that require a lot of writing, cover letters are usually required, as they not only explain why you’re qualified for a job, they also help show off your writing skills to an employer. Similarly If you’re working in a healthcare field that requires writing (like clinical education or similar), chances are that you’ll need to create a cover letter in order to explain why you’d be a good fit for a position. Keep in mind, a cover letter isn't just for you to show off your skills, it's also your opportunity to show how those skills can help improve the employer's business, and what you can do for them. 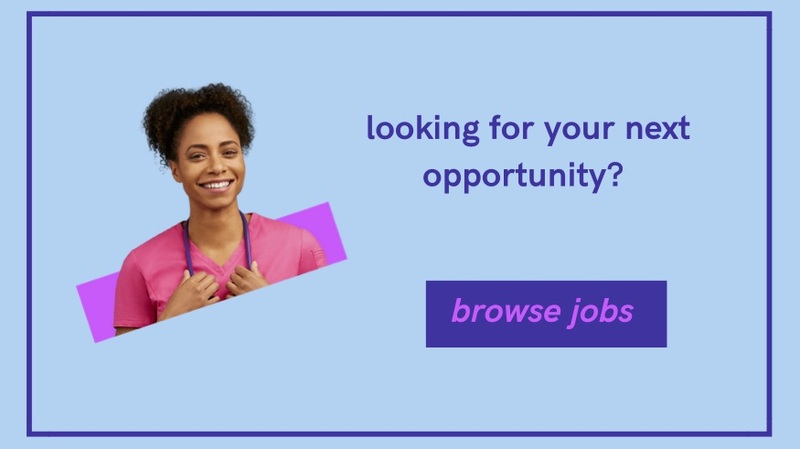 Hospitals, clinics, and other healthcare facilities want to know they are hiring someone who can make a difference to their patients in that specific care setting. Writing a cover letter that focuses on how you can make a difference for them is an excellent reason to include it with your application. Of course, the most obvious reason to include a cover letter is because the position asks for one. A study on CareerBuilder found that 49% of hiring managers consider a cover letter the second best (after customizing your resume) skill to boost your chances of getting hired. According to that same study, 70% employers spend less than 5 minutes on a resume, and 48% spend less than two. However, many employers will actually spend a little more time reading through a cover letter, so it can help to emphasize any points on your resume they may have glossed over on the first read. If you don’t consider yourself a strong writer however, you may be in luck. There are many circumstances where a cover letter may not be necessary for you to land the job you want. Here are a few situations where a cover letter won’t be necessary. In a study conducted by the Society for Human Resource Management (SHRM), 85% of employers are actively recruiting candidates on social media. In this case, the candidates are mainly passive (meaning they aren’t actively looking to leave their jobs), so these openings typically won’t require a cover letter. When you work with a company like Relode, you have someone advocating on your behalf to the client. This means you don’t need a cover letter to “sell” your strengths to a future employer. Instead, our Relode talent advisors and account executives act as the middleman to explain your qualifications to hiring managers and executives, ensuring that your next position is a fit for you and for the employer. See how Relode can help with your job search. Browse open positions here.